Directions: While lying on your back, bring your knees to your chest using your hands, making sure to get to end-range. 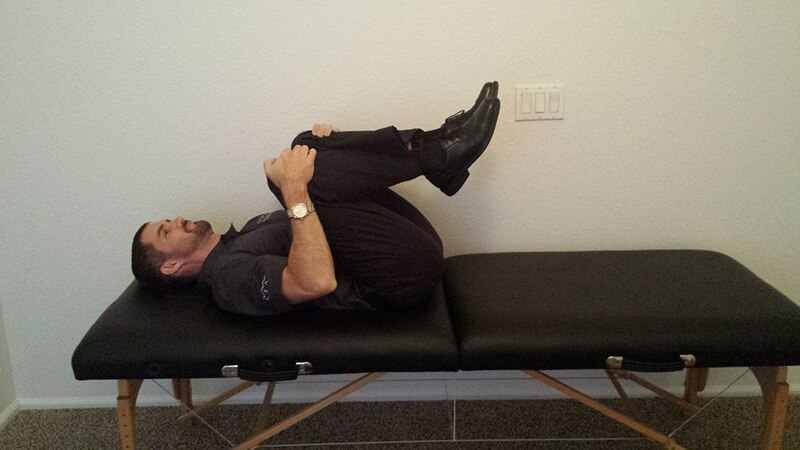 If this position bothers your knees, your hands can be placed behind your knees grabbing your thighs instead. Repeat as indicated by your therapist. This exercise requires adherence to the "Stoplight System."